This post contains SPOILERS, so if you have not see the final yet, I suggest you come back later. Because we got to see Downton before America! Downton Abbey and me have had a rough relationship. ...and then I got bored of seeing Anna and Mr Bates trot off to prison every other episode, so you might say this has been a very up and down relationship. It was like Julian Fellowes was a happiness killer for 6 whole, entire seasons. Ok, so maybe I haven't quite forgiven him completely yet. But he does do his best to make us like him again in the final. So the other week when the Christmas Special Final showed in New Zealand I happened to be out at our beach house. I thought I'd just have to wait until it came out on DVD to watch it because we don't have a television at the beach house and reception has never been very good out there anyway. But not this year! The cousins had managed to hook up a tv and we were all booked in for a Downton Abbey beach-fest screening - served with a delicious Rhubarb crumble. Have you seen the final? What did you think of it? I am going to miss watching Maggie Smith so much. She made the series. She really did. 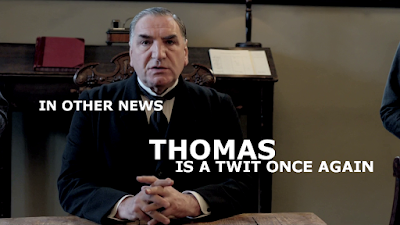 There are a few words I could use to sum up the final episode of Downton Abbey. Julian Fellowes decided not to kill happiness. And that pretty much sums up the last episode. I could have given it a scathing review because if there is another tv show that trumps this final for trying to cram as many romances and weddings into it as Downton did in the last final, I have never heard of it. We lost count of how many times the violins played and just about everyone ends up with a romance, marriage, or the potential of a romance or marriage. 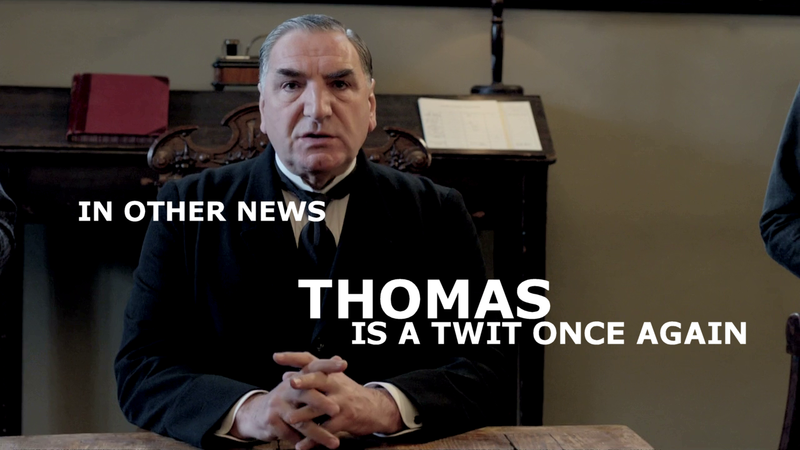 But in the end, you just can't hate Downton - even in all it's predictableness and one-liners. It's been a brilliant show to watch and I'm going to miss it. It seems like the whole series has been one big fight to find love and happiness. And Julian Fellowes gives us that in bucketloads in the last special. He lathers it on in syrup, lavender and everything coming up roses. And while it is everything you could wish for - a happy ending - everyone goes off to live lovely and fulfilling lives - where everything comes right in the end, and truth be known, I always like a happy ending, but it did feel rather predicatable and rather squashed in. Lord Grantham is miserable and then he is happy. Lady Mary is nasty and then she is nice. Lady Edith is miserable and can't make up her mind and then she is suddenly happy and can make up her mind. The Dowager Lady Grantham is just the same as always - and has the best lines. (This. Truly. My life at the moment)! Mrs Crawley is miserable and then she is happy. Branson is miserable and then he is happy. Carson is miserable and then he is happy. Mrs. Hughes is miserable and then she is happy. Daisy is miserable and then she is happy. Thomas is miserable and then he is happy. Molsely is miserable and then he is happy. Mrs Patmore is not looking for love and then finds she quite likes it - in the last few minutes of the show. Anna and Mr Bates have been miserable for the whole darn show, but finally in the last show they are happy and nothing bad happens. So we bid farewell to Downton. It's the ending of a happy romance - a blissful escape from reality. 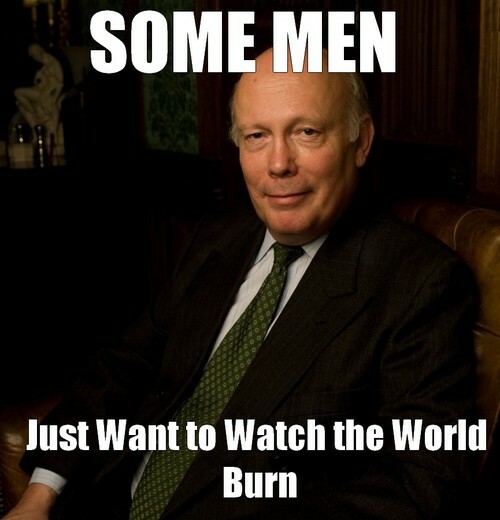 Thank you Julian Fellowes for the pleasure. I know you had to end it sometime, but I think we all hoped it would carry on forever. We've really loved it, you know. I remember when Oprah Winfrey started screening on television in New Zealand. We used to discuss her shows in the school playground during our lunch breaks. Fresh 15 year olds solving the problems of dysfunctional adults. It was really among the first of those kind of shows to come to New Zealand and we were all fascinated by Oprah. Over the years, on and off, as I left school, went overseas, worked, lived my life, Oprah came in and out of my life as time allowed. 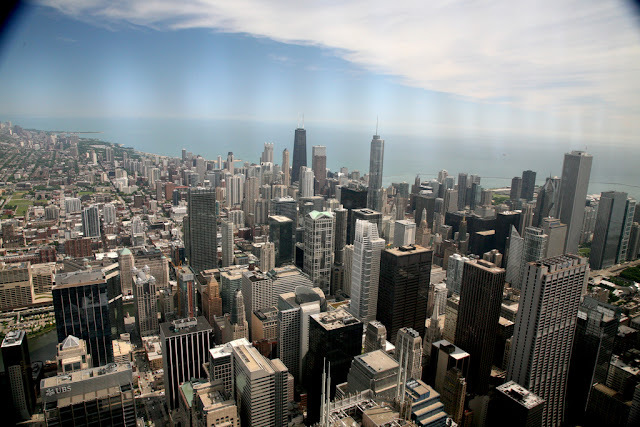 Sometimes when we'd drive downtown, I'd look up at those tall buildings and wonder which one belonged to Oprah. I'd keep an eye out for her studio. I never saw it, and I never saw her. I didn't even watch her show during that time. There were no televisions where I was living. I never even went to one of her shows even though for one short year we lived in the same city. But time passes and Oprah came back into my life again when I was married and had small children and was having trouble with breast-feeding. So I'd sit down in my living room with my small baby, turn on the television and watch lunchtime Oprah, while feeding my baby. And oh the things I learned. The little seeds I gathered. Oprah was very influential in my early mid-life years. Sometimes lonely years as I'd left many friends behind in America, my husband and I moved clear to the other side of the country and lived on a rural lifestyle block. I was just emerging out of the cult that we had become involved with and it was a crucial time for me of re-adjusting my views of the world. Re-adjusting my life and little whispers of new ideas and questions that Oprah raised on her show began to wander restlessly in my mind. She reached out from the television screen and met my heart. We share the same Myers Briggs personality type... except she's an extrovert and I'm an introvert. INFJ for me. ENFJ for Oprah. But Oprah just has this way of being real, whatever your personality type is. She instinctively meets you where you are and knows, with an authenticity that is at times, uncanny. 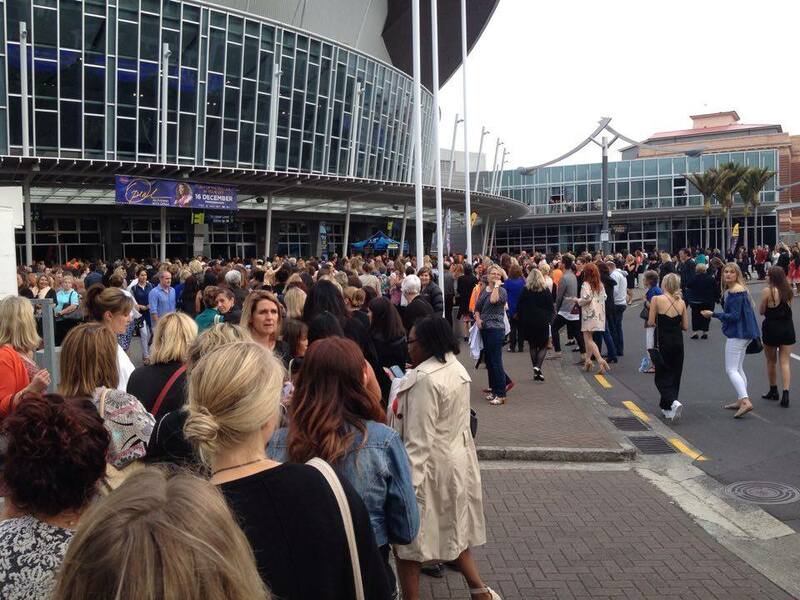 So when the opportunity came to go and see her in Auckland, I was waiting in line when booking opened. Going to see Oprah has to be one of the highlights of this year for me. Whatever you think of Oprah (and there have been some cynical reviews written about her show, and sure, the music was a bit cheezy at times, but I wasn't there for the music), you have to admire her for what she has done with her life. For where she has come from and what she has achieved, and her generous big heartedness to others. Her good intentions of wanting to help others. She is a woman among women and no matter whether you find her inspiring or not, or you roll your eyes at her words of hope and encouragment, she demands respect for that reason alone. A friend and I got two of the cheapest tickets we could - the rich and entitled paid thousands for the best seats in the house - but most of us mere plebeians had to settle for seats way up the back of the arena. And it was still good. We were way up the back, but we were looking full on to the stage. And they had music playing with a DJ before Oprah came out. The camera would zoom in on random people in the audience who would cheer, dance or pull faces. I love Kiwis. 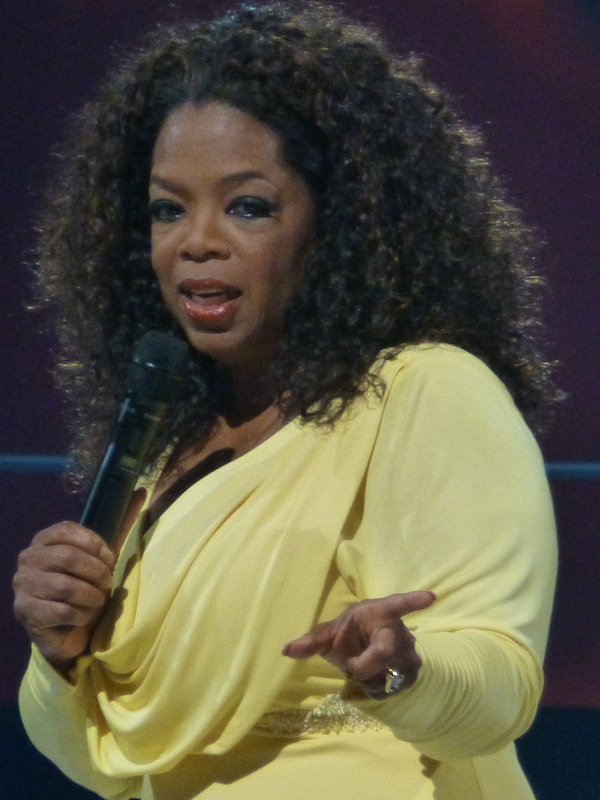 Oprah said she felt a contentment in New Zealand that she hasn't felt anywhere else in any other country. Maybe she was flattering us, but maybe there is some truth to that too. I think New Zealanders are generally down-to-earth and real about life and we don't really go in for a lot of fluff. What she had to say that night came at a crucial time in my life. I know I was meant to be there. Sometimes things like this happen in your life and you know they happened for a reason. That night was one of those moments. 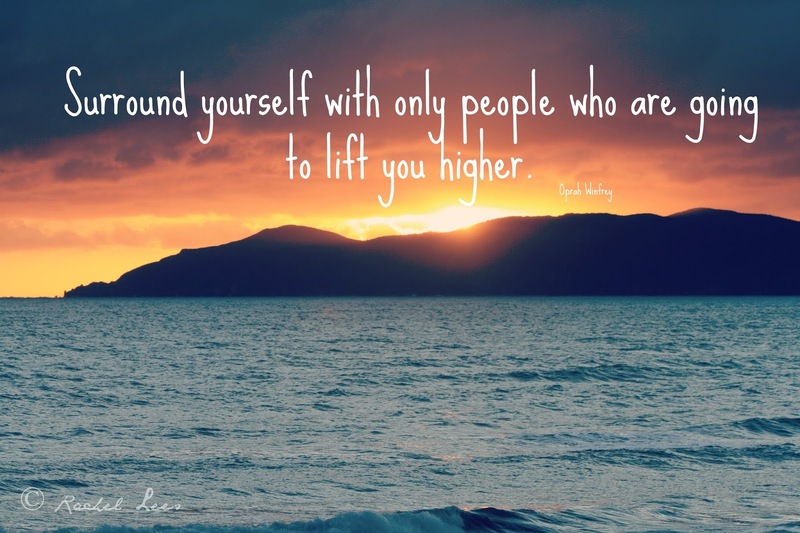 Oprah shared one of her favourite poems with us. She said the name of this author twice, and I locked it away in my memory because I wanted to be sure to find it when I got home. Thank you Oprah, for saying his name twice. When I read this poem, I think over my life - I remember my happy childhood and my turbulent romances of my teen years. I remember the years of my early adulthood that were stolen from me by a manipulative and powerful man from Chicago. And I think it's kind of ironic that two people from Chicago could have two such opposing influence over me. One for evil. One for good. And then I recall Oprah's words to us on Wednesday night. "Everything that has happened to you, was also happening for you". Oprah talked a lot that night about co-authoring our lives with God. If I take anything away from her show, it is those words. It is the wisdom in those words. 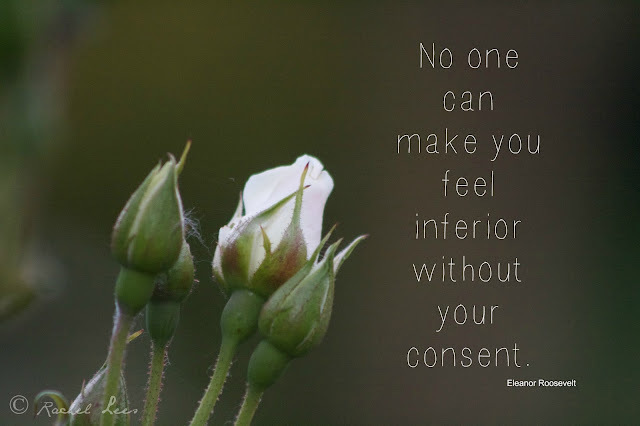 When you have come from my experience of having someone tell you that God is a dictator and that he has a plan for your life whether you like that plan or not, these words have the power to bring great healing and clarification. She talked about the importance of meeting with God everyday. Talking over as you would with a close friend, your plans and decisions. Sometimes during the evening, it almost felt a little like we were at a revival meeting. She unashamedly talked about her relationship with God. We are spiritual beings having a human experience. To deny that, is to deny our purpose for being here. Oprah kept stressing, over and over, that God has a plan for every single person. That we are not a mistake. That we are not insignificant. That it doesn't matter where we come from or what we have done. That God has given us a unique passion, a job to do, a life-fulfilment, a legacy to enjoy and to leave behind. I know what it is I want to do with my life. I think I've always known, but this past year I have allowed other things to crowd out those little whispers. Oprah told us a story of her personal assistant who wanted a filing cabinet for her 8th birthday. I thought 'what did I want for my 8th birthday?" I know exactly what it was I wanted for my 8th birthday. I wanted blank notebooks to write my stories inside. And the desire is still the same all these years later. It's not the notebook or the pens, it's the desire to write and to do something good with the writing. I came away from Oprah with a determination to use this summer break to really sit back and think about how to make each day count in the pursuit of my dreams, the pursuit of my intentions. To again, re-adjust the path of my life. I was inspired by her words, her passion, her experience and her wisdom. She has been a great influence in my life at various times over the years and Wednesday night was no exception. 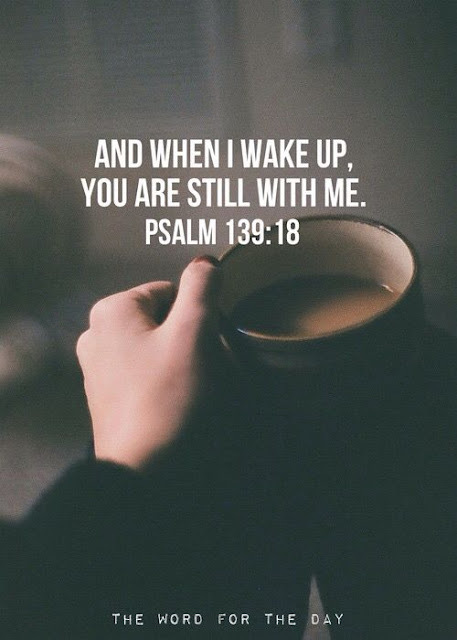 To co-author with God - the things he has in store for my life. That's what I love about that poem by Derek Walcott. That one day I will come back to meet my old self, and we will smile at each other. Sometimes, the world seems just a little bit too mad. A lot sad. And, let's be honest here, downright scary at times. When life gets too much, or the world gets too frightening, where do you go? I don't mean physically where do you go? But mentally? Where is your safe place? The place where you retreat to when the world is crumbling? Where do you go to fortify your mind, to keep your sanity and to face your fears and your questions and your brink of insaneness? I wonder if some of us go back to the age of innocence. Back to a time in our life when all was right with the world? I go back to my hometown. To Marlborough. Back to when we were young. And carefree. I was thinking about this recently, because around the same time that Paris had it's horrific events, the phenomenon of a little Facebook group called Old Marlborough - the way we were, grew up out of nowhere and the Marlbarians, young and old, flooded in. We grew up in a special place! It was nice to go back, even if it was just a virtual nostalgic group, to a time and place and be with people who are familiar and kind and safe and who have the same history of growing up in a place that was wonderful. 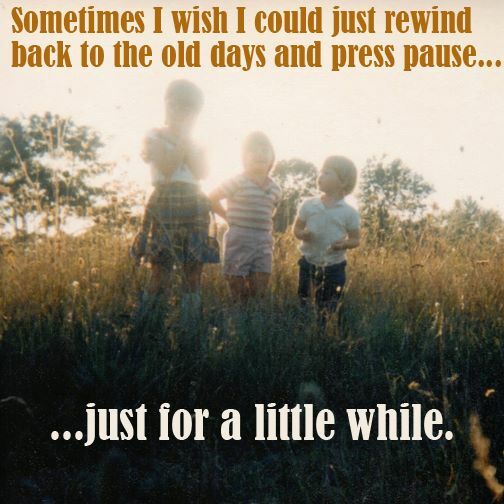 Suddenly we were reconnecting with old friends, old neighbourhoods, old school mates, and saying 'remember this' and 'remember that person'? People were posting old photos. Photos of streets and schools and shops and people. It has been a lovely, lovely respite from the reality of today's world to step back in time, to go back once again to that unique and close community that I grew up in. We were lucky we were. We didn't know how lucky we were. The beautiful Dashwoods. Those foothills beside the Withers. As you drive up the coast from Christchurch, it's always the time I know I'm nearly there. It's that feeling of coming home. This is my place. This is the soil of my birth and the soil where my grandparents and family and ancestors rest. The wind rushes through the dry, tawny grass. It looks alive some days as the ripples of wind dance through the grasses, moving up the slopes of the hills, drawing you eye over the top to the blue moving expanse of Cook's Strait, with the Wairou Bar where we used to play as children lying unchanged as it always has under the cliffs of Cloudy Bay. 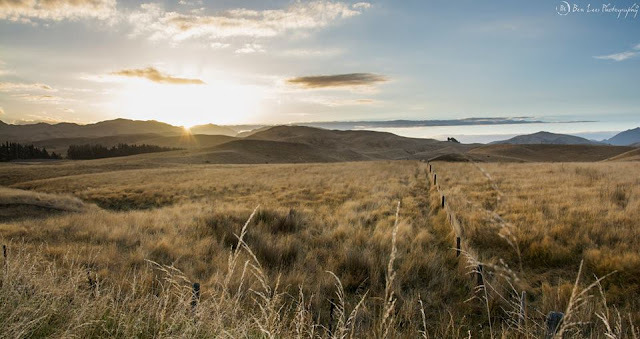 My nephew Ben Lees, of Ben Lees Photography (and Cantabrian) kindly allowed me to use this photo taken from those beloved Marlborough hills, for this blog post. It's my absolute favourite photo ever! Check out his beautiful website here. When I think back to my childhood growing up in the jewel that is Marlborough, New Zealand, I think of the hills that surrounded us, nestled quietly at the edges of the town, hazy in the summertime, frosty in the winter. 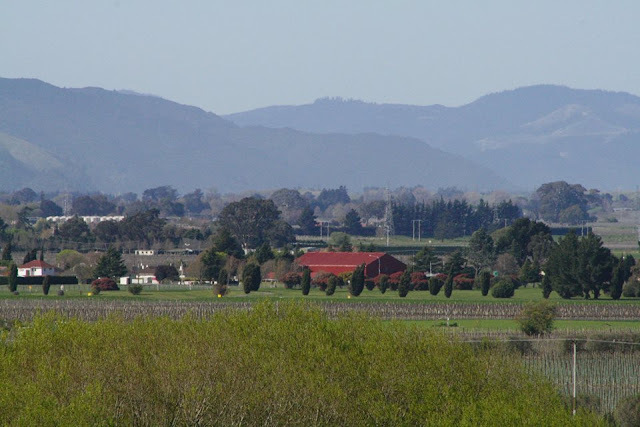 I think of the orchards and the berry farms, now replaced with the more lucrative vineyards, on the outlying plains where my parents would go every summer to gather the bounty of our province unto ourselves, to store up for the winter. I can smell the warmth of honey hanging in the air at our local honey shop. The beekeeper whose wife used to teach me in Girls Brigade. Hot summer afternoons while we swam in our backyard pool, the familiar smells of vinegar and pickles and bubbling jam and boysenberries floating out from the kitchen window as Mum bottled them. She'd come out to get the washing in, fingers stained red and black with the juice. I think of my school and friends and church and the nun who used to teach me piano lessons. Of wondering what kind of hair she had under that black wimple. Of Grandad and Nana and the dogs and the boat and Nana's lolly jar and her love of books. Of reading us snippets from them and teaching us life lessons from poetry. 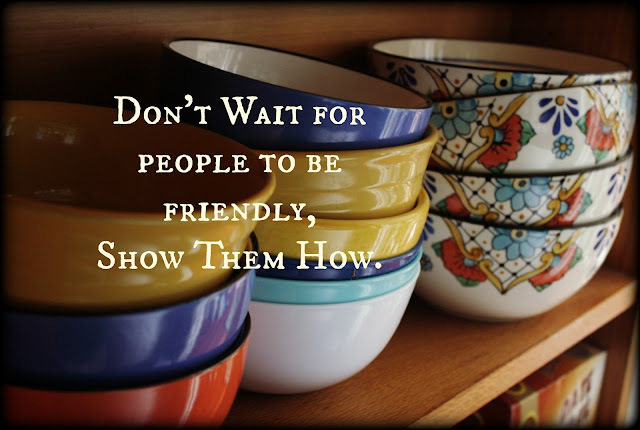 Of Grandma and her rosy cheeks and warm kitchen and apron and her kindness. I think of the school camps down the sounds and at Deep Creek, and the fun we used to have. Our overnight survival tramps with our teacher, the games of truth and dare around the old house, and when we were supposed to be asleep listening to the mothers who were with us, all laughing and talking out in the kitchen with the comfortableness and ease you can only have with those you've known all your life. 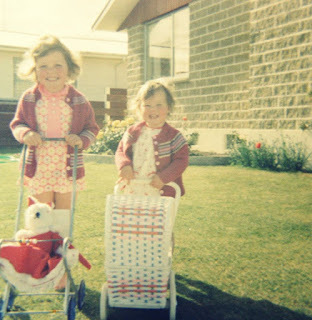 Me (left) and my sister at our childhood home. Christmas shopping with Mum in the town. The best place to get gifts for the aunties and grandparents was at McRobies, a long shop in the middle of the town, with tables and shelves bursting with products. There was always something to buy in that place. A soap with a picture on it. A small china tea set. Embroidered handkerchiefs. Bubble bath in animal-shaped bottles. That handy do-dad for the kitchen that Grandma surely has been waiting for. Or the day the Farmers store burned down. Or driving in the country at night and seeing the old oat stubbles on fire. 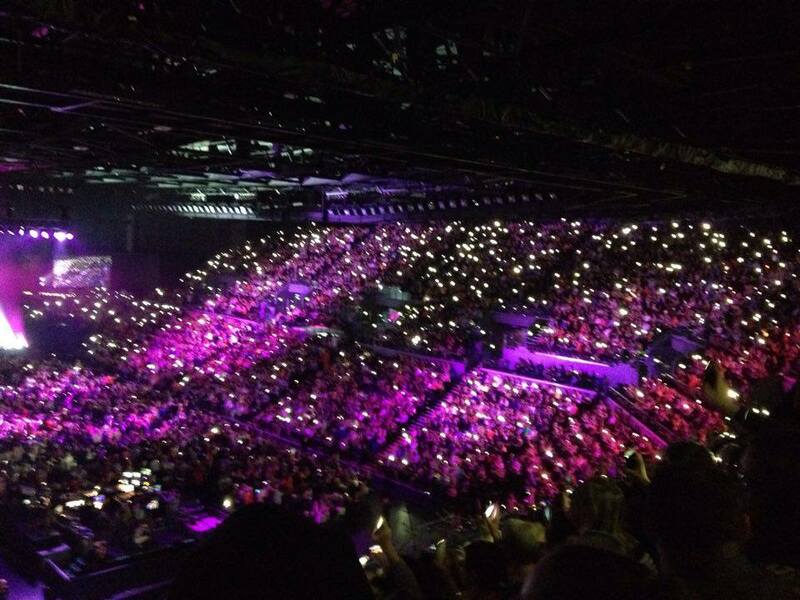 They made such a pretty ring of light. 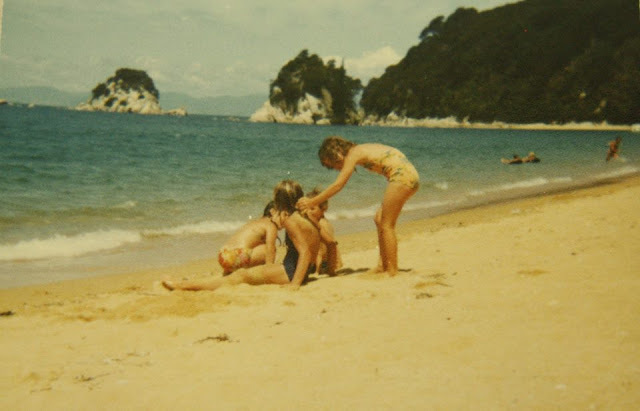 Of summer holidays camping by the rivers, or with all the extended family at the bach down the Sounds, or sunbathing on the golden beaches at Kaiteriteri. I remember the Sunday afternoons walking downtown with my school friend after church to buy the nicest cream buns and warm, crusty bread at Granny Scot's bakery, then eating most of it before we got home. And how at the age of 13 it all changed. some of my friends moved away. My family moved away. And how, in spite of telephones and letters, life was never quite the same again. It was good, we went on to good and exciting things, but nothing can replace your childhood town. A note written during our last church service together with my friends. So many wonderful people. Friends who we walk through life with. They'll always be there. The friends of your parents who have known you since the day you were born. 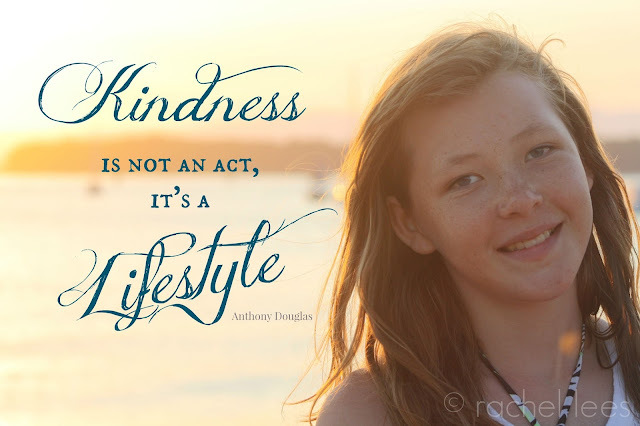 You can't have airs and graces around people like that. No matter how successful and sophisticated you become later in life, when you're with people who knew you as a baby, the layers of adulthood fall away. There's an authenticity about that. There's something rather wonderful about it too. A safety. A feeling of security. If they're still there, it's going to be ok. It's all going to be fine. It has been wonderful to visit it all again, even when I live 12 hours away from my hometown and am removed from those days by 30 years. They're my people. That's my place. We were so lucky and we didn't even know it. Lately, I've been in a deep funk of dead-end ideas when it comes to food. I recently saw something going around social media with three choices. If you only had to choose one, what would you choose? That's easy for me. A chef. Every time. And just lately, being in the depths of winter, cooking every night just became a chore. I was really struggling to come up with original and tasty menu ideas that everyone in my family would eat, and I am just bored of doing the same dishes, and tired of cooking uninspiring food that if you gave me a cent for every time I'd cooked them, I'd be rich by now. Someone happened to mention Nadia Lim's My Food Bag. I had heard of it, of course. Masterchef is one of my favourite reality television shows, and I was watching when she won it back in 2011, and heard about her new business venture. 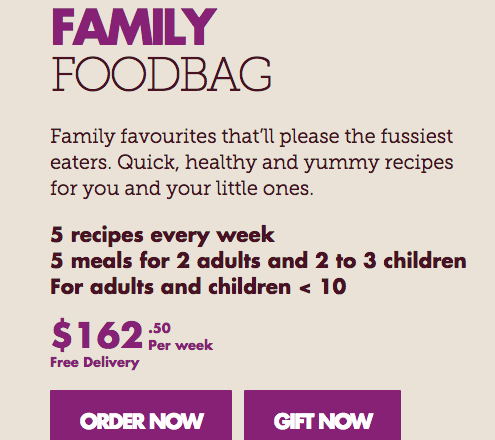 Food and chef-prepared recipes delivered to your door every week sounded amazing! Whenever someone talks about My Food Bag, they always qualify it with, "it's great food, but expensive." And that is what has put me off trying it out before now. Let me just say now, before I carry on, that this is NOT a sponsored blog post. I am in no way affiliated with Nadia Lim or My Food Bag and have not been asked to write a review on this. I'm blogging about it because I write about everything anyway, and thought you might all be interested. But when I realised how much money I was actually spending going to the grocery store every other day to get something for dinner because I hadn't had any inspiration to write up a menu, I thought I might as well spend that money on My Food Bag instead of wasting time and funds running back and forth from the market. There are six people in my family. Two adults and four children, and one of those children is a teenage boy, and two of those children are picky eaters and small eaters, so I thought the 2 adults and 2-3 children might be fine as far as quantity. On Sunday our first food bag arrived. It was so exciting! The list for extra ingredients that you need in the pantry to do My Food Bag was so small and insignificant, that after doing the sums I don't actually think this is very expensive. Apart from a few basics, like oil and salt, eggs, butter, milk and flour and a couple of other things, Nadia provides everything, even down to the one garlic clove that I need for tonight's meal. And the menu looked delicious! A couple of days after ordering an email arrived in my inbox with a list of extra things I would need to buy and photographs of what I'd be cooking for the week, and it looked amazing! My husband's eyes lit up when I showed him. I could tell he was so over my done-to-death chicken nibbles, sausages and fish and chips on rotation every week. To tell the truth, I was a little sceptical when I opened up the chillbox and took out the meat. I though I better check all the dates in case one was close to the expiry and make sure that the recipes I want to cook line up with those dates. Later I was pleasantly surprised to read in the instructions that come with the box that Nadia actually suggests you do this - but I also found that the fresh meat was not only the best available in New Zealand, but the expiry dates were also well within the dates of the menu - if I cooked them in the order they arrived. That's a girl after my own heart, I have to say right there. Careful attention to the small details. I was impressed. 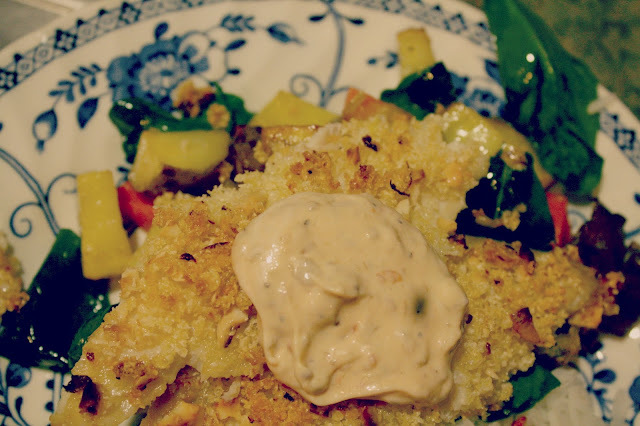 For the first night, we made Cashew Lemon-Crumbed fish with roast veges and sundried tomato mayonnaise. The fish has a panko and cashew crumb over it and was so delicious some of us went back for seconds, and yes, there was enough for seconds. If this is (literally) a taste of what is to come, then I think I'm going to want to do My Food Bag for the rest of my life - or at least until I get my cooking mojo back - which might be never. * the food and recipes are super-healthy. Fresh, organic vegetables and the finest meats - no unhealthy processed stuff here. * It's easy to prepare. This took me 45 minutes max, and a lot of that time was stand-down time, waiting for the vegetables to roast. * If the kids don't like it, they can't blame me! * I'm not impulse buying anymore. * The variety of dishes. Goodbye boring food! * It tastes REALLY good. 1. You have to order a week in advance. 2. You will automatically be charged for the second week unless you request that not to happen. I didn't read the fine print and discovered last night that I've been charged for this to arrive next week also. Oops. Don't care. I was going to do it anyway. * This is NOT a sponsored post. I am in no way affiliated with Nadia Lim or My Food Bag and have not been asked to review this product. 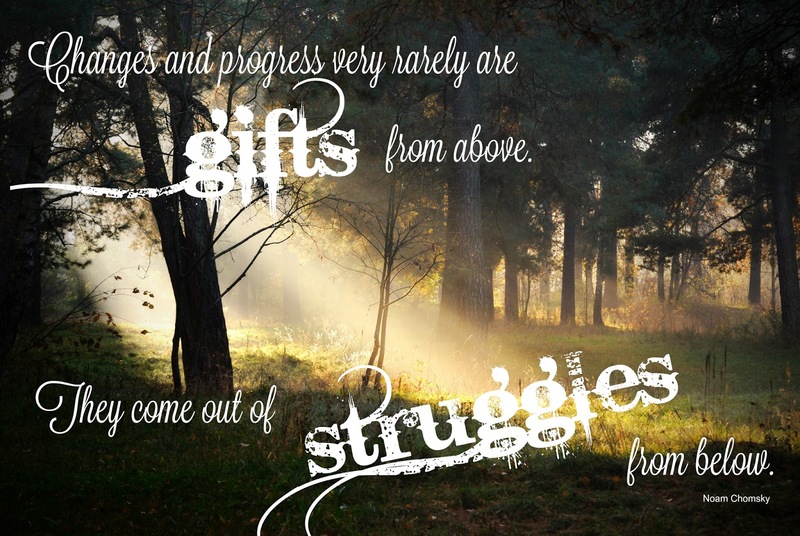 I am blogging about it because I wanted to try it out and writing is how I process everything good and bad in my life. This just happens to be good!